Your resume can emphasize more than your work experiences. 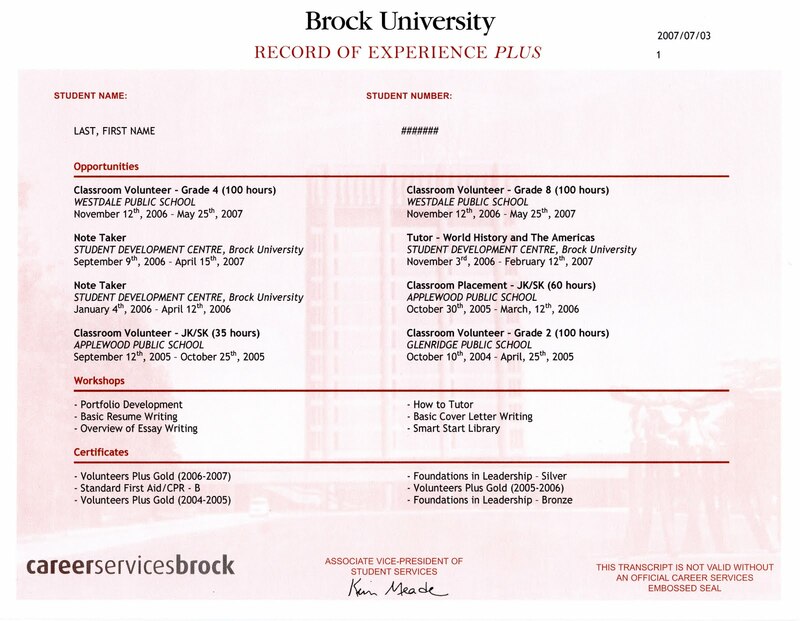 Experience Plus helps to track your involvement at Brock University and showcases your achievements on an official transcript. This transcript is perfect for your portfolio and bringing to interviews. Your Experience Plus transcript can document your academic awards, jobs on campus, workshops attended, volunteer hours, transferable skills and more! Log onto your Brock Portal and create/review your information to make sure it is up to date. Once your data is submitted, our Experience Plus Assistant will verify your information and track it on your transcript - it's simple! 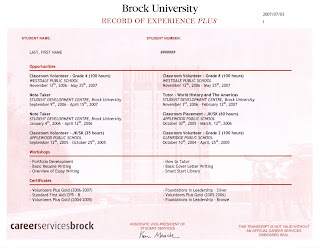 And best of all, you can request this official Brock University transcript at any time during your academic career at Brock University. It's better to update your transcript on a regular basis so you don't forget all the great achievements you've completed. So what are you waiting for? Access your Experience Plus Account today and get tracking!